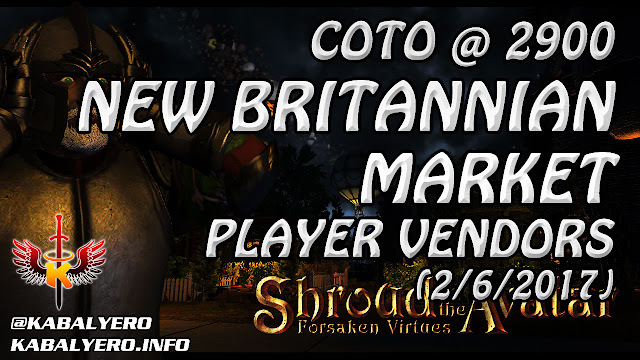 New Britannian Market, COTO @ 2900 (2/6/2017) 💰 Shroud Of The Avatar Market Watch - KABALYERO - PLAY, BLOG & EARN! My last visit to New Britannian Market was on January 10, 2017. Recently, I went back to New Britannian Market to check out the town's Player Vendors. To see what the residents of New Britannian Market are selling, simply check out the video below.